Assassin's Creed 2 is at first glance a fantastic game with good graphics, but appearances are deceiving. The background textures in the cutscenes are in fact very very low-res, as shown in the source. The rest looks very nice. Are people expecting uncharted 2-like graphics from a multiplatform game? not only that.. but it's an open world sandbox game as well. I don't know abut other people, ya I do look at the little details when I play a game but usually, I like to take a step back and look at the overall look and feel of everything going on in the screen. If the graphical flaws affect that big overall picture then I am more likely to not be impressed with it. I think people need to add a little context and try to remember what the game is doing when they think about it's graphics. i am prob one of the few people that actually thought gta4 was one of the best looking sandbox games this gen, infact the only one that I thought looked better was AC1. sure they had small issues, but compare the overall look to games like SR2 or wheelman and there is a huge differnce in quality though they are all sandbox games. From all the media I have seen, Assassins Creed 2 looks fantastic. It's easy to forget that the game has an open world that allows you to go anywhere and interact with almost everything in the world. Uncharted 2 is a milestone but it's still a linear game with staged setpieces. Interaction isn't dynamic. You can't really compare the two. mate, if you look at the Uncharted 2 gameplay movies you can see that it does not use high res textures, the strong point of the engine seems to be high poly counts, but not high res textures. Not meant as a flame, personally I cannot wait for Uncharted 2. The draw distance was very impressive years ago, but after UC2, it is going to take ALOT to impress me now. Then again i don't have high expectations for multiplats, so i just hope they add tons of things to do otherwise it really doesn't deserve the 'sandbox' title. Still require some positive reviews before deciding whether to buy or rent this game. I haven't really taken a hugely deep look at much of the texture work in the Uncharted 2 beta yet. But there is a fair amount of high res stuff going on in those textures. While I do agree that the graphical content and brilliance of Uncharted 2 works on a much higher, bigger and different scale than just textures there's no doubt that, that stuff is still top notch too. In terms of textures in a sandbox game inFAMOUS for mine has the best. Absolutely brilliant texture work on the most important thing which is the buildings, all of the textures really pop to the eye's from almost every angle and you have to go right up close before you actually see that they're flat. Oh NO! That door in the background looks like a low res door. Does a brown door need High res detailing? This is next gen ...not last gen! all the multiplats that are superior on ps3? ROFL, Sorry I meant to say "God DVD9 SUX why don't we all go buy a PS3"
What superior multiplats on the PS3? You can count the superior multiplats on the PS3 using just your thums. Just like you can only count superior exclusives on the PS3 with just your thumbs. Hoolock, what the heck? Did you steal my avatar?! Wow Jason 360 being the 360 Muppet that you are I'm surprised you even gave the PS3 that many wins you of all people wear the thickest fanboy goggles of any other fanboy on here hell even when the 360 Muppet website Lens of Fail gives the win to the PS3 Jason360 doesn't even look at the site but still claims the 360 wins and says "that's 896593692692864 to 1 another win for the 360." 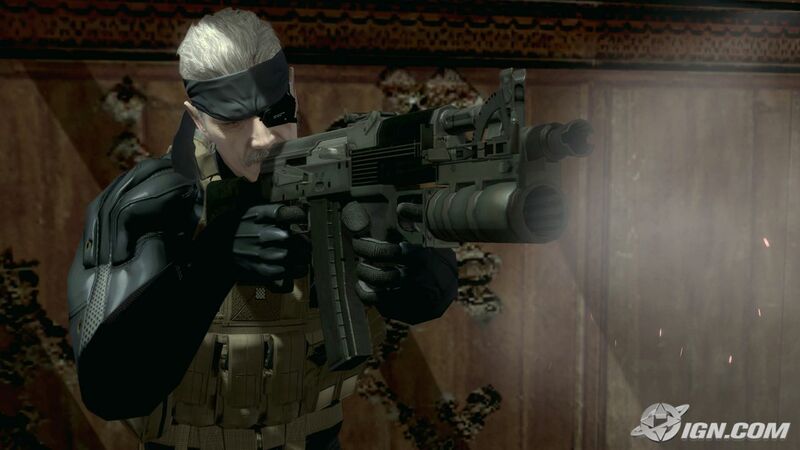 Yes there have been a few multi-plat games that have gone the way of the 360 But this is no longer 2007 and to be honest ANY developer that can't match graphics on any multi-plat should be hanging up the gloves and retire because there no excuse any more when you have developers like ND, GG, MM, Kojima Studios and hell look how well Rocksteady did with Batman AA they made a great looking game that used the UE and still made the game look identical on both systems. No Excuses anymore it's just a cop out plea to any of them to say any different. Your a f*cking moron and know nothing about the subject at hand if you think DVD has anything to do with things like this. PC Games, the best graphics you can get in video games, such as Crysis, come on DVD. I dnt have enough thumbs to count the better multiplats on ps3. See my below post. Because Ghostbusters, Prototype, Bayonneta, Fallout 3, GTA IV, FEAR 2, Far cry 2, R6 Vegas, DIRT 2, Resident Evil 5, Street Fighter IV, Star Wars: The Force Unleashed, Mercenaries 2, Wet, X-Men Origins, Saints Row 2, Bionic Commando, Tomb Raider Underworld, Call of Juarez, Red Faction and Riddick all came out in 2007. Microsoft must have been using magic to make those "2007" (08 and 09) look, run, and be far superior on the 360. "What superior multiplats on the PS3?" do you know wtf is the different between the pc games and xbox 360 games, is because the pc games require you to extract all the data onto the HDD, whereas 360 can only be able to read what is on the disc, not only that the 360 only allow certain amount of data to be read, unlike the pc which read all data that was on the hdd (the data that have been extracted from the dvd). So what? Do you tend to feel visually abused if you don't have a "high-res" background in every damn game? "Boo Hoo, the grass textures are not up to my expectations.....WAAAAH!" Seriously??? batman, burnout, alone in the dark, DMC4, Terminator, Wanted, says whats up dude! Late ports of oblivion and ninja gaiden sigma 1 and 2 say how the hell are ya? that your momma still lets you live in her basement so you can save money to upgrade your rig every 2 months. it also helps that you don't have a girlfriend so you don't spend money on dates. the only reason this game looks awful is because of the brokebox. if it was a ps3 exclusive it would pwn all games, including pc game, just like what uncharted 2 and killzone 2 have done. btw even a 3yr old pc at this point outdoes pretty much any console. you are deluded if you think upgrades are needed all the time. I have no doubt that PS3 has better hardware to run games than any other console. But please, don't make yourself look stupid by challenging the PC hardware. The subject was already dropped a long time ago ago when the 8800GTX series came out. By then, it wasn't even a comparison, it was pure massacre. And if you think all PC gamers upgrade their rig on a monthly basis, you really need to see a doctor, a mental doctor to be precise. I could care less, the GAME PLAY better be better than the last one. That is all I want. Better game play mechanics, better story, no more repetitious missions and better combat. Who the hell freakin cares about a door? It's articles like this that jade today's gamers perspectives into graphics whores and lose sight on what games are supposed to be about. Please try harder its amusing me! Its not even out yet. Chances are the Devs will spruce it up before release. I won't be staring at them for 20 bloody minutes like I did in AC with the stupidly long,boring and unskippable cutscenes. Modern Warfare was said to look better on PS3 among others. Should i run around the room and say that 360 is sh!t? no...its a multiplat game nothing to brag about unless there is a huge difference, for example from Uncharted 1 to Uncharted 2. Lol at people that back up the 360 by saying that multiplats look better on it. I don't think it has any major differences. I am not picking on 360 but the fanboys make the 360 look bad. Bragging about something that isn't exclusive is the worst thing a fanboy can do. COD4 didn't look better on the PS3. It looked identical, and all the sites agreed with that. most multiplats look simular on the both the consoles. the reason is both of them have simular powered gpus. differences will be minor.. like i said its pointless arguing over these minor differences. Adding together those additional pixels don't count as an exclusive,Shadow Man. The people disagreeing with you obviously have NO IDEA what sarcasm is. Have obviously never played the first one. One of the best looking games on the PS3 in my opinion. And whether or not the sequel looks good or not, I will be getting it day one. I have no doubt it will look gorgeous though. If graphics is everything, Gran Theft Auto Trilogy on PS2 back on PS2 should be a bad series then. I know the PS3 is the most powerful console, and Uncharted 2 look amazing, but common, how many of these articles do we really need. This is the gen of over-the-top fanboy wars, pixel counting and multiplat comparison screens and videos. It's really a shame that for what has been an amazing gaming generation thus far, it's been tarnished by all the bullsh*t that goes on. are u serious? com on we dont need this who gives a sh!t if the game has low res as long as it plays good and has an excellent story im good. I don't care. I just want to find out what happens next in the story. The first one finished on such a cliff hanger, really left me wanting more. AC1 was an amazing game, and this looks even better. Some low-res backgrounds won't stop me from getting this game. It looks badass!!! As long as those buildings and monuments that I'll be jumping/swinging from all look lovely (judging from gameplay videos they do), I can live with a few lo-res textures. Boy I cannot wait for this game to come out any longer!!! OMG low-res somewhere in the background textures, this game is a flop! go play AC1 and you will realize the tone was more realistic. They probably lower the textures to help the framerate and make the worlds bigger and have more lighting.